So the kids have asked for it and we are going to discuss it. That’s right! All the things that bite and sting. 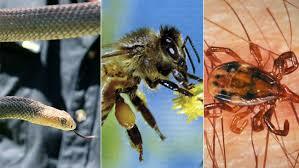 “The creepy crawlies.” We will go over what critters you wanna stay aware and away from. As an individual or even in a family, you have to be aware of the potential hazards in the everyday setting. Listen to this broadcast or download “Creatures That Bite and Sting” in player below! Hiking, walking, fishing, camping, out in the garden or doing yard work. These are common things everyone does during the summer. You can and probably have encountered many type of creatures and bugs. Bugs, ticks, bees, wasp, snakes, and yes those in the deep south the terrifying Alligator, and many others. We will discuss a few insects and animals you want to avoid, how to avoid them. How to be aware of the areas that some of them may even be in. Even go into depth of what some of these animals can actually do to you. Common treatments for some of these actually encounters. Definitely preventatives for the ones we REALLY want to AVOID. Maybe you can not avoid certain ones completely, but we can a least try to minimize the exposure. Join us as we go further into discussion and ask yourself. 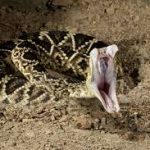 What do you do if you come up on a venomous snake? Can you even identify what type of snake it is? How do you handle tick bites? How do you prevent from being swarmed by mosquito? Do you know which critters are dangerous and which ones are just plain annoying? Visit A Family Affair on Facebook HERE! Previous: Previous post: Gunsmith: History, Why and How! Next: Next post: Responsibility as parents with guns!